A WHALE OF A TIME: Happy St. Patrick's Day!! Today, 17th March, the most important Irish festival takes place. It's widely celebrated, not only in Ireland but also in the USA, the UK or Australia. In Ireland, this day is an important religious holiday. Businesses are closed and people go to church. Besides there is a four-day festival in the capital city, Dublin. In the USA, the New York parade is very famous because it's the largest in the world: more than 150,000 people take part in the marching. And in the city of Chicago, The Chicago River is coloured green on St. Patrick's Day!! But let's start from the beginning. Who was St. Patrick? 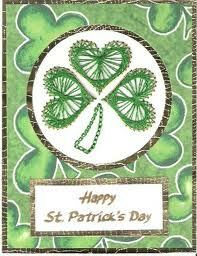 St. Patrick is the patron saint of Ireland. He was born in Wales but when he was a teenager we was taken to Ireland by some pirates and there, he became a slave. After some time, he could escape to France where he became a priest. Later on, he returned to Ireland and he converted a lot of Irish people to Christianity. There are many legends about St. Patrick. One of them says that he took all the snakes in Ireland to the top of a mountain and pushed them into the sea. Another legend says he used the shamrock to teach the Irish about Christianity: he used the three leaves of this plant to explain that, for Christians, God is three beings at the same time. On St. Patrick's Day there are a lot of tricolour flags in the streets. 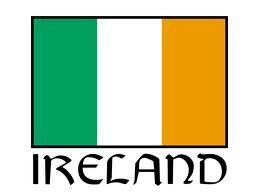 Irish created this flag in 1848 with a special meaning. The green represents Irish Catholics and the orange represents Irish Protestants. The white rectangle in the middle stands for the hope for peace between Catholics and Protestants. CLEMEN, Gina D.B., "British and American Festivities", Black Cat Publishing, 2004.